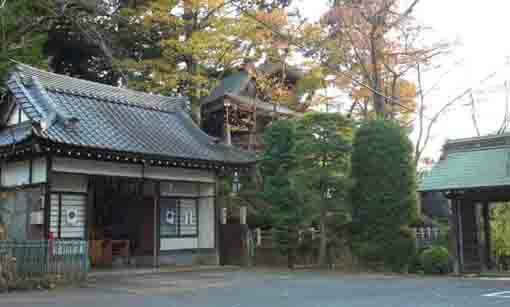 The behind of the Soshi-do hall, the Hoden-mon Gate stands between the Soshi-do hall and the Aragyo-do Hall, so it is also bridge connecting them to the Taikyaku-den, the main hall. This is the popular spot for visitors sketching and taking pictures in Nakayama Hokekyo-ji. 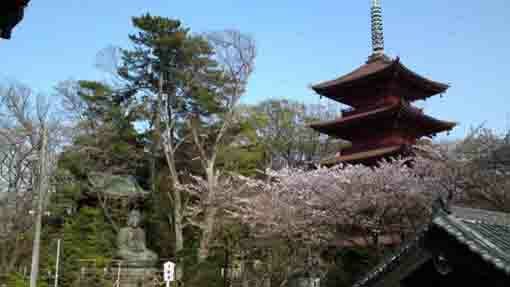 Especially, many visitors come to see it with beautiful cherry blossoms in Spring. 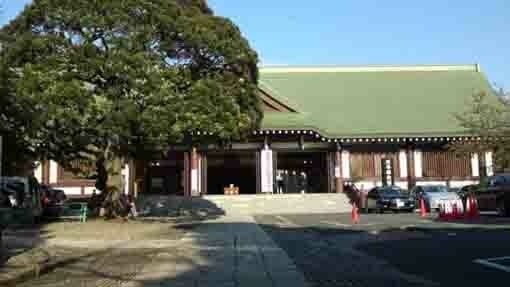 The hall to pray for vehicles is of course on the parking lot in front of the Taikyaku-den hall. 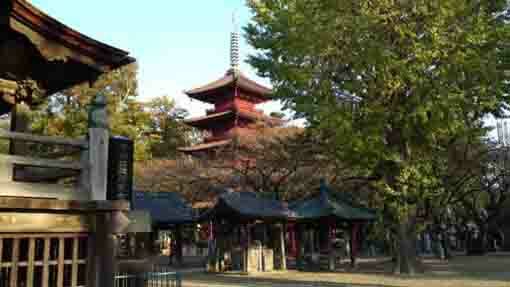 And next to it , passing through Hojomon Gate, there is a bell tower standing behind the Great Buddha. 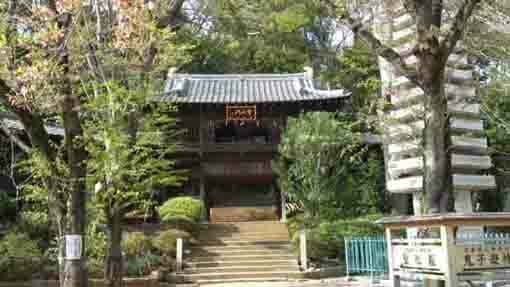 In Meiji Era, the tower stood near Ansein Temple, and the bell was donated by Kujo Family. Every day, the bell rings at 6 o'clock in morning and evening. Visitors could strike it only the New Year's Eve. The Ema-do hall stands east-end on the approach to the Soshi-do hall. There are some pictures on the votive horse tablets hanged up on the wall there. Kafu Nagai, a famous writer Showa era, talked that there was a picture of samurais with headgears on it painted by Yoshitora Ichimosai. 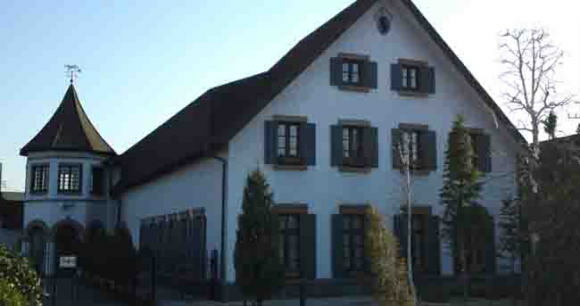 However, there is no specific information about it, especially the date of constructoin　and its history. Kafu talked that it stands in front of the Kishibojin-do hall, but now Kishibojin-do is over 100 meters farther on the north. Another report published by the librarians at Ichikawacity said that they have no information of it. 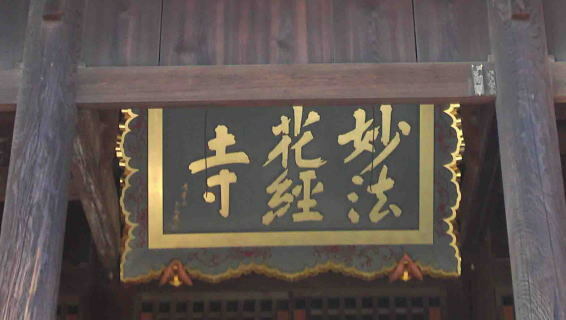 And according to Edo Meisho Zue, there was a Josho-do hall (a hall some yong priests practiced) drawn in the place of now the Ema-do hall standing. 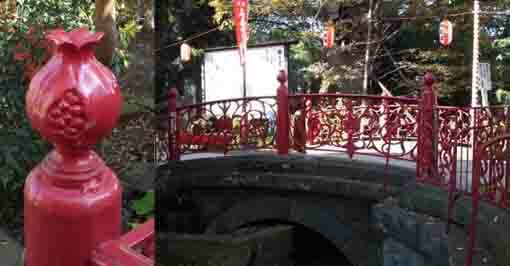 The Ryuen-kyo bridge was built in 1945. And its newels are decorated with pomegranates the symbol of Kishibojin, the goddess of children. It was a popular spot to seeing fireflies flying over the spring. Now the spring under this bridge dries out, but there might be water flowing in the spring when the bridge had been built. Thousands of believers and visitors line on this river to the Nio-mon Gate in the New Year's Eve. In the north end of the main hall of Nakayama Hokekyo-ji Temple, the statue of Kishibojin carved by the founder Nichiren is dedicated at Kishibojin-do hall. In November 11th of 1264, he faced the extremly dangerous situation of his life. When he was attacked, Kisibojin appeared in front of him to help, so he could escape death by hair-breath. After that, he fleed Nakayama of safety and he reflected his face in surface of water in a pond, then he found a scar between his eyebrows. 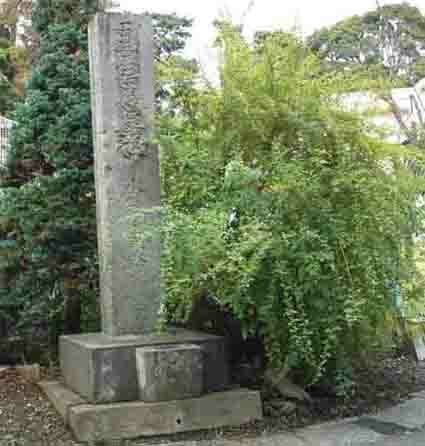 While he recuperated himself, he carved the statue of Kishibojin to gratitude for her, so he dedicated it. The name Kagami-ike (the pond like a mirror) named after this legend. Now there is no water, so a stone monument onlly stands. 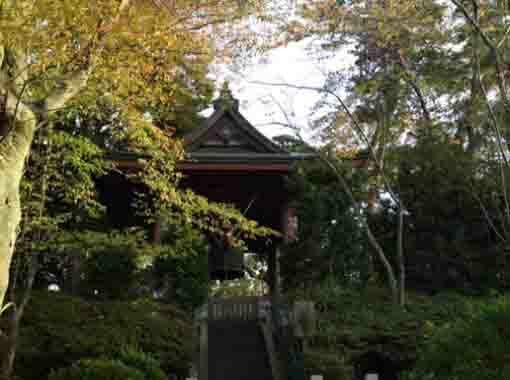 So the landform around Hokekyo-ji has been changed from Nichiren Ages. At that time, there was Futago-ura creek nearby it. 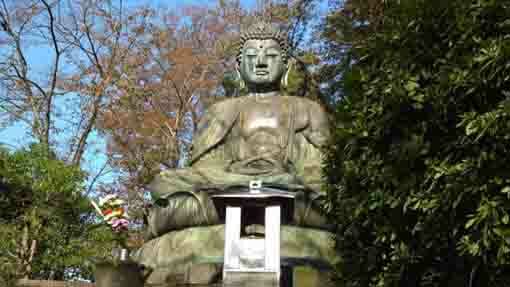 He often went to Kamakura on ship. There is no information when the pond dried out.